November was a great month for risk assets but a terrible month for safe haven and emerging market assets. I've included my reflections on 2016 as well as sections on bank capital and regulation, China, emerging markets and the US presidential election. November was a great month for risk assets but a terrible month for safe haven and emerging market assets. The main equity indices rose in China (6.1%), Japan (5.1%), the US (3.4%) and Australia (2.3%) with Europe (-0.1%) the odd one. Commodities rose even more with copper (19.6%), iron ore (12.0%), US natural gas (11.7%) and US oil (5.1%) all jumping. 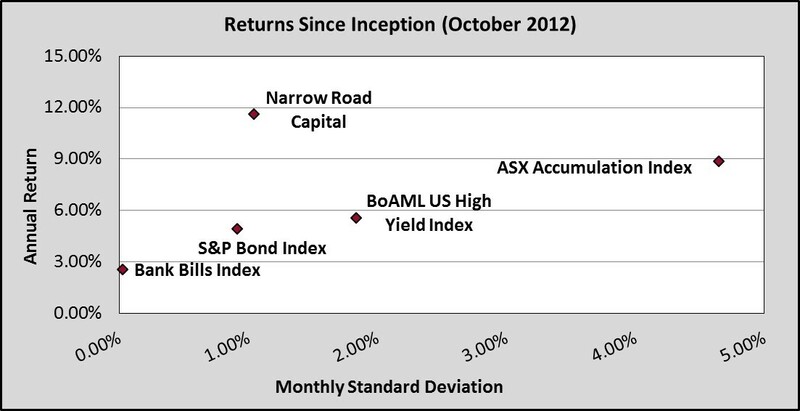 Credit was mixed with US and Australian high yield spreads tighter whilst investment grade credit was mixed. Emerging market currencies, bonds and equities were all sold off. Safe haven assets, gold (-8.2%) and long tenor sovereign bonds, were also out of favour. 2016 has been a year of many surprises, whether it be sport, politics or financial markets. Arguably the biggest reminder this year is that no one can predict the future with consistency. Picking the outcome of the Brexit and US presidential votes wasn’t that hard based on the information available in the final days. However, picking the market reaction to both, with solid falls at first then rallying hard to end up higher wasn’t. The constant demand for narratives to explain what is happening results in the creation of stories and twisted logic to back fill to match the events. Everyone wants to be seen as being on the right side after the event, being the smart one who called it right when many others didn’t. For financial markets this is particularly true. Watching interviews there is often a demand from a journalist for the “guru” to provide explanations well beyond their expertise, with “I don’t know” being the only unacceptable answer. Often there’s two battles being fought, the one for marketing points and another with investing the money. This year Bill Gross and Jeffrey Gundlach both made gutsy public calls about the low point for long term interest rates. Both were proven right within months. However, neither saw the returns on their portfolios substantially outperform their peers as would have occurred if they followed their own advice. Reflecting on my own limits I know that I’m not a guru on interest rate expectations, equities or commodities. This year I’ve been particularly surprised that the iron ore price has pushed higher, when long term supply seems to be way above where demand is likely to be. When China eventually slows it will fall a very long way but in the short term I’ve got no idea where it will be. Interest rates are tricky to pick, there’s excess capacity in many developed economies which should hold down inflation. However, when countries endlessly run deficits and print money at some point faith in the currency is broken and interest rates skyrocket usually followed by default. In these areas in the short term I am reminded that I don’t know what will happen, just like everyone else. What I do find far more predictable is my area of expertise, Australian credit. Companies that recorded losses, burn through cash and increase their debt levels eventually end up bankrupt. Companies that generate consistent profits, have positive cashflow and control their debt, pay their interest and principal on time. There are very few surprises in credit investing when it is done well. I recently bumped into a good friend who commented that my monthly reports are pretty negative and I should write something positive every now and then. That’s a fair comment. In the articles I write for public consumption I spend a decent amount of time telling people what to avoid. What my clients pay me to do is to tell them what they should be investing in instead. I have been finding great value Australian credit opportunities even in a market when most asset classes are overpriced and am continuing to put money to work. With the lack of competition to lend in many areas in Australia very little risk needs to be taken in order to generate healthy returns. For new investments in 2016, portfolio returns of bank bills + 3-4% were easily attainable without substantial duration or credit risk. This year there has been over $1 billion in great value securitisation opportunities. Mid-market corporate lending remains substantially underserviced. Marketplace lenders are finding great niches to lend to. Banks have pulled back on commercial property leaving a huge gap for flexible lenders. Private debt has massive potential but few skilled lenders and capital providers. Australia continues to be a great place to invest in credit, the vast majority of the credit spread received is due to illiquidity rather than credit risk. In a world of yield chasing the illiquidity premium available here is amongst the last of the low hanging fruit left. The net returns generated for clients over the last four years shown below demonstrates the opportunity set. The outcome of the US presidential election is a potential spanner in the works for the Basel IV negotiations. The old position had the Swiss already implementing much higher capital levels, the US pushing for higher capital levels and the Europeans resisting these efforts. Morgan Stanley has banks in Europe and Australia needing a lot more capital when the likely changes are implemented. Trump’s election could bring two main changes for US banks. Firstly, repealing at least parts of the Dodd-Frank legislation to free up banks to conduct a wider range of business activities. Secondly, increasing capital to ensure that banks failures don’t require taxpayer bailouts, similar to Switzerland. Chairman of the House Financial Services Committee Jeb Hensarling is a strong supporter of both measures and is expected to be influential in Trump’s administration. The post-election bounce for US banks seems to be acknowledging the former and ignoring the latter. If banks are able to engage in a wider range of business that is likely to allow for higher margin (and usually higher risk) activities to grow, which should grow profits over time. But a requirement to substantially increase subordinated capital will materially reduce the return on equity for banks. For the Basel IV discussions the much higher capital levels proposed by Hensarling will almost certainly be unacceptable to the Europeans. For Deutsche Bank, Societe Generale and UniCredit a tangible leverage ratio of 10% implies a tripling of their current capital levels. The push to allow banks to engage in riskier activities that have been curtailed since the financial crisis may also be disputed. It’s possible that proposed Basel IV changes may not be agreed or may only be adopted piecemeal with national regulators picking and choosing. If the Europeans banks win concessions that would be a bad outcome for taxpayers with future bank failures far more likely to involve taxpayer bailouts. The European resolve is already wavering on their recently implemented bail-in rules. These rules could be tested soon with eight Italian banks threated with bail-ins. Monte dei Paschi shareholders have approved a restructure which involves a capital raising and subordinated debt being converted to equity. However, legal claims and the Italian referendum mean that a bail-in of senior debt is possible. Steve Eisman, who was profiled in The Big Short, has warned about Italian banks and Deutsche Bank. Another area of change that the Trump administration may bring is with the handling of Fannie Mae and Freddie Mac. After being bailed out in 2008 the US government has been stripping the capital of both loan aggregators. There has been ongoing litigation with the non-government shareholders claiming they were short changed when the bailout occurred. Whilst all of this has been happening the quality of loans has fallen. It is eminently foreseeable that the very low level of capital remaining in these businesses won’t be sufficient if another economic downturn occurs. For those who don’t think there’s a problem here, a CDO of Fannie and Freddie securities will be right up your alley. With a new administration, there is the opportunity to completely re-evaluate the business model. Ideally, Fannie and Freddie would be private companies with no explicit or implicit government guarantees. An IPO of the businesses, where the funds raised from selling new shares is used to lift the capitalisation of the businesses would be ideal. This would see the US government taken out of the picture. It would see the cost of mortgages rise a little, but whilst mortgage rates are very low now is the ideal time to implement the change. The politics mean that a less than ideal solution is likely, where the government remains an implicit guarantor but the private sector takes back control. Chinese economic data continues to be pretty good, which leads some to ask will China ever bust? The recently retired chairman of ICBC, a self-proclaimed connoisseur of crises, don’t see any signs of trouble. The Wall Street Journal sees bubble everywhere. China’s housing is really expensive even on a global basis. Some academics say high property prices can hold if the government buys excess stock for social housing and new supply is stopped. Others see problems with banks and wealth management products being increasingly reliant on short term wholesale funding. Investment flows are switching back to commodities, which may explain the big moves in iron ore prices. A free float of the Yuan is becoming more likely as capital controls and currency depreciation are encouraging higher outflows. Chinese banks shifting their non-performing loans to asset management companies may create more problems than they solve. Bankruptcies are up by 53% but non-performing loans haven’t risen nearly as much, yet. A struggling Portuguese bank raises capital by selling shares to a highly leveraged Chinese conglomerate. Chinese buyers are creating a surge of development on the Malaysian side of its border with Singapore. The Chinese government has reminded investors that local government debt is not guaranteed. Since the US Presidential election emerging markets have been thumped across equities, bonds and currencies. Egypt dropped its fixed exchange rate and its currency fell by 45%. Nigeria’s government is trying to set limits on exchange rates but has instead created a flourishing black market. Mexico can’t do much to stop the Peso falling, with trouble brewing for companies with US dollar debt. If you haven’t been scared off by any of these currency collapses then the high yielding Russian carry trade might be one for you. Emerging market debt has given back half of this year’s gains in two weeks. Mozambique is in a three-way fight with bondholders and the IMF over its debt restructure plans. Angola’s state owned oil company is in such bad financial shape it can’t buy toilet paper. India’s withdrawal of high denomination notes was very poorly planned in a country where many can’t access ATMs. The Venezuelan currency was having a bad month down 45%, then it fell another 15% in a day. The locals are relying on a guy in Alabama to calculate the “official” black market rate, using quotes gleaned from social media. Some are using free electricity to mine bitcoins in order to earn a living. The state owned oil producer missed some of its debt payments and blamed banks for its failure to pay. Debt haircuts of 50-60% are likely for Puerto Rico. The proposal to replace its old bonds with new bonds linked to GDP doesn’t look good for creditors as GDP has fallen by 9.1% over the last 10 years. Amongst all of this carnage Greek bonds have surged this month as some investors are betting the country will receive debt relief soon. Time will tell whether the ECB will give up some of its position without requiring similar concessions from private sector bond holders. In the wash-up of every election there’s plenty of people claiming credit and point the finger of blame. This is especially so for the US presidential election as Trump had significant disadvantages to overcome. Clinton outraised and outspent Trump by nearly 2 to 1. The last time a presidential candidate raised less and won was in 1976 but even then, the fundraising gap was only 6%. Clinton had decades of campaign experience and a massive network to call upon. The Republican establishment largely ran dead on Trump whilst Clinton had almost the full support of Democrats. Clinton had an overwhelming number of endorsements from politicians, CEOs, media outlets and celebrities. Clinton had twice as many campaign offices and six times more paid employees. All of that should have guaranteed victory. The demographics of who voted and how they voted showed that the Trump campaign was far superior employing Moneyball style data analysis to overcome their disadvantages. They picked a message that would shift voters their way in key states and repeatedly visited those states. Rustbelt states that had twice gone with Obama were reminded that they hadn’t seen economic improvement since the financial crisis whilst the East Coast and West Coast elites had done well. Clinton took the rustbelt for granted, rarely visiting and allocating little spending there. By far the biggest demographic shift compared to 2012 was that lower income voters fled the Democrats. Despite all of the Clinton campaign’s efforts to appeal to minority groups Clinton received a lower share of votes from Black, Latino, Asian and White voters than Obama had. Clinton got a small jump in the female vote but lost far more men. Like most elections, economic and security issues were more important to voters than social issues. Here’s some of the winners and losers from the result. Fossil fuel industries are expecting to see a diametric shift in government policy which should see a lift in long term demand. Conservative media outlets such Breitbart, Drudge Report and Info Wars saw a huge spike in traffic as disillusionment grew with left leaning traditional media. Big businesses were generally leaning to Clinton, even though she advocated higher taxes and more regulation for banks. Trump has promised to lower taxes and reduce regulation and the share market is loving it. Shares in private prisons have jumped as there could be a lot of non-citizens needing a temporary home whilst their deportation cases are determined. Several major TV networks and newspapers dropped all semblance of journalistic independence, openly advocating for Clinton and becoming a left-wing equivalent to Fox News. Trump was forced to rely heavily on social media to get his message out. Trump learnt he doesn’t need the mainstream media and has already reset some of the presidential media protocols, cutting them out of the loop. If Trump runs again in 2020 will he bother to spend any advertising dollars with them? Google, Facebook and Twitter were accused of tilting their algorithms and search terms to be pro-Clinton. Trump’s tax plans (lower rates but with no loopholes) might see their tax avoidance schemes under threat. Mainstream economists such as Paul Krugman routinely called Trump’s economic policies dangerous. Trump has said that Janet Yellen’s term won’t be renewed in 2018. This isn’t a full loss though as Trump is set to ramp up spending on infrastructure shifting the focus from monetary to fiscal policy as these economists wanted. Holders of long tenor fixed rate bonds have been hit hard. Trump’s stimulus plans will increase the supply of US government debt, inflation and the likelihood of a future bankruptcy or restructure of US government debt. Emerging markets have seen their shares, debt and currencies falls. A more insular trade policy is bad news for economies that export manufactured goods to the US.